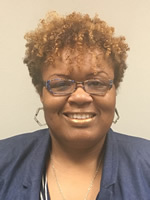 Dr. Latanja L. Divens is an Instructor of Nursing in both the undergraduate and graduate Nursing programs at Louisiana State University Health Sciences Center. She is also the program coordinator fot the Adult/Gerontology Primary Care Nurse Practitioner program. Dr. Divens earned a Bachelor of Science in Biology from Xavier University of Louisiana (1996) and a Bachelor of Science in Nursing from Our Lady of Holy Cross College (2001). She has also received both a Master in Nursing as a Family Nurse Practitioner (2007) and a Doctor of Nursing Practice (2012) from Loyola University New Orleans. She is board certified by the American Nurses Credentialing Center as a Family Nurse Practitioner. Dr. Divens’ acute care nursing experience was in the Surgical Intensive Care Unit (SICU). As a Family Nurse Practitioner, Dr. Divens has extensive experience in the areas of family practice, nephrology and gastroenterology. Her passion lies in caring for patients with chronic diseases and serving underserved populations. Her capstone project for completion of the Doctor of Nursing Practice degree, entitled “Living Healthily with Chronic Hepatitis C Virus: Strategies to Improve Health,” was focused on chronic Hepatitis C in vulnerable populations and methods to reduce disparities in within that population.